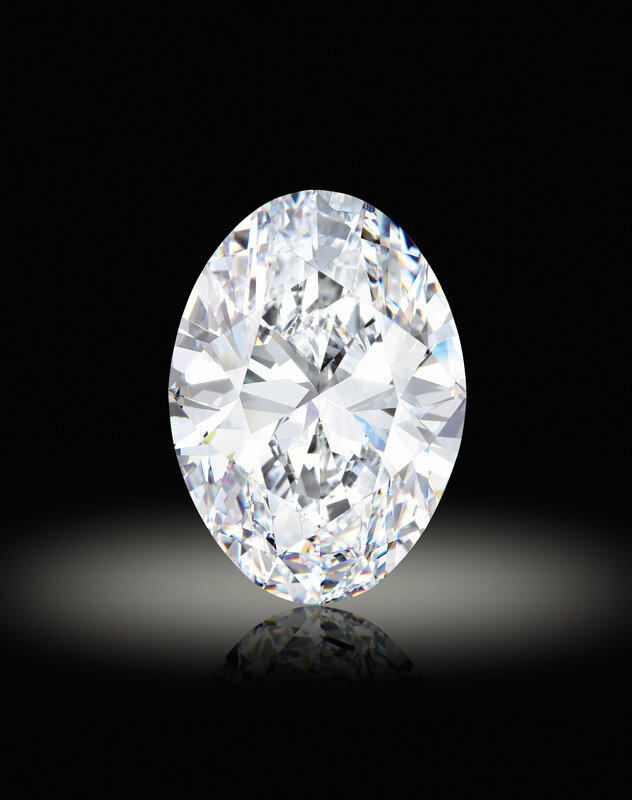 The Spectacular 88.22-Carat Oval Brilliant Diamond. Courtesy Sotheby's. 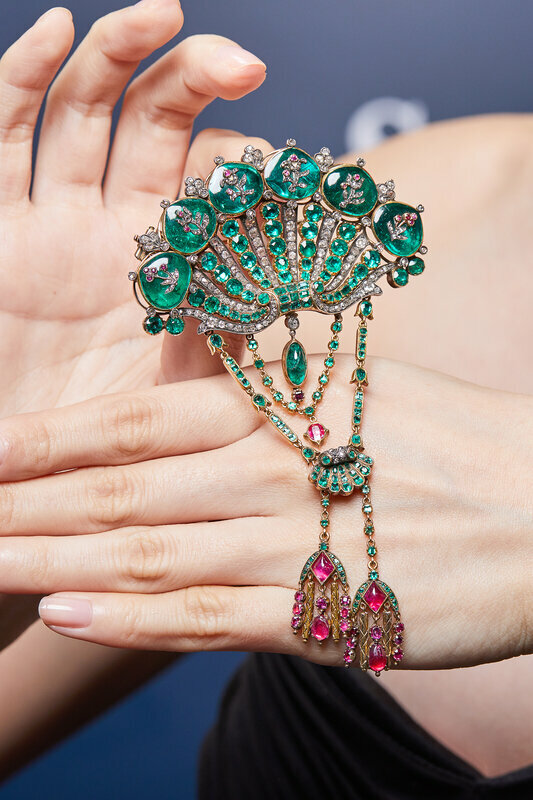 HONG KONG.- On 2 April, Sotheby’s Hong Kong Magnificent Jewels and Jadeite Spring Sale 2019 will present a wealth of colour and design through rare gems and intricately crafted jewels. 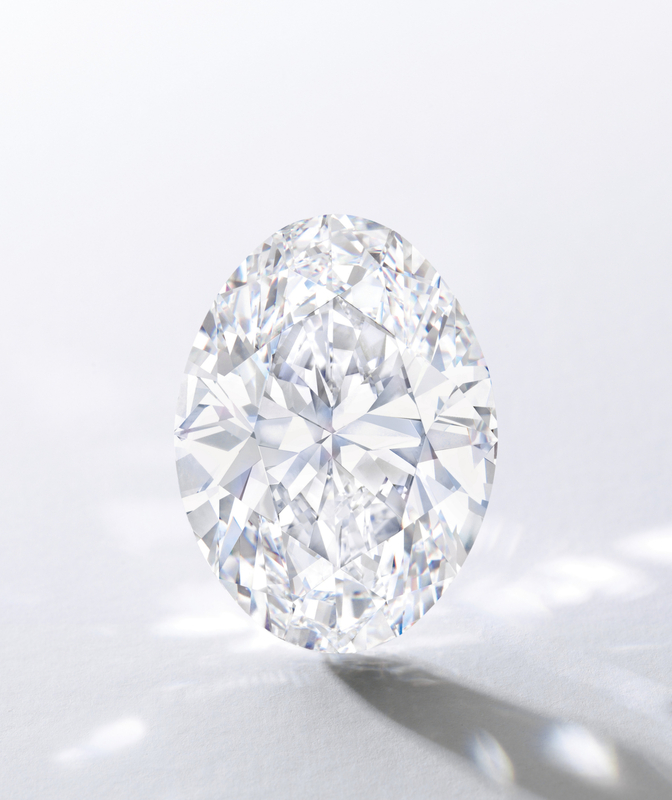 Headlined by the spectacular 88.22-Carat Oval Diamond, a rare and important D Colour, Flawless, Type IIa, oval brilliant diamond, perfect according to every critical criterion (Est. HK$88 - 100 million / US$11.2 - 12.7 million), the sale also features a myriad of fancy coloured diamonds ranging from highly coveted pinks and blues to yellows and greens. 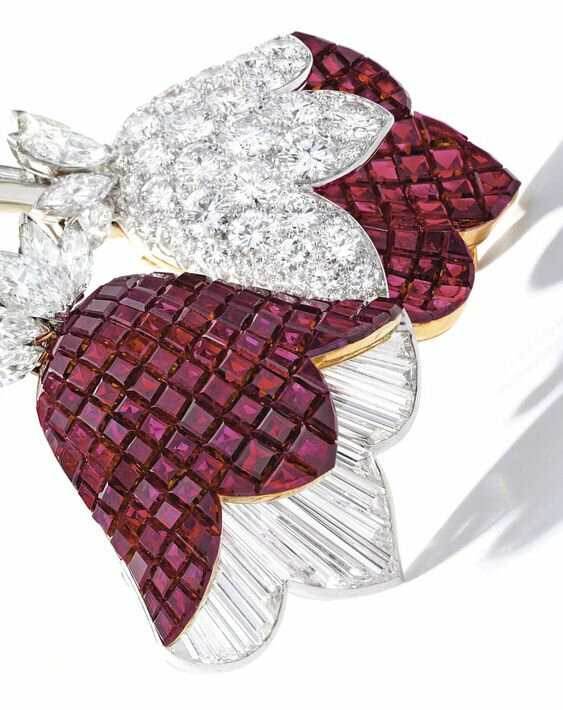 A stunning selection of coloured gemstones will be presented alongside iconic designs by famed jewellers such as Cartier, Van Cleef & Arpels and Bulgari. Lot 1801. The Spectacular 88.22-Carat Oval Brilliant Diamond D Colour, Flawless, Type IIa. Estimate HK$88 - 100 million / US$11.2 - 12.7 million. Lot Sold 107,993,000 HKD (13,775,587 USD). Courtesy Sotheby's. Accompanied by GIA report no. 2195631593, dated 12 December 2018, stating that the 88.22 carat diamond is D Colour, Flawless, with Excellent Polish and Symmetry; further accompanied by diamond type classification report stating that the diamond is determined to be Type IIa diamond. Type IIa diamonds are the most chemically pure type of diamond and often have exceptional optical transparency. The GIA report is additionally accompanied by a separate monograph expressing the rarity and the characteristics of the stone, stating 'Though its GIA Grading Report reveals a thorough description of its characteristics, it cannot quite capture its splendor - one must see the gem to comprehend its magnificence. When presented the opportunity to gaze into the stunningly transparent table of the diamond, viewers are likely to be captivated by the pure beauty that lies before them'. The world’s love of diamonds had its start in India where historians found recorded text on diamonds originating from India, dating back to 4th century BC. For more than 20 centuries, India remained the only significant source for diamonds (apart from minor quantities found in Borneo), until diamond discoveries in the gravels of the Amazon River (Brazil) began to emerge. In the Arthashastra of Kautiliya, the diamond is mentioned for the first time in a Sanskrit treatise written after 321 BC. 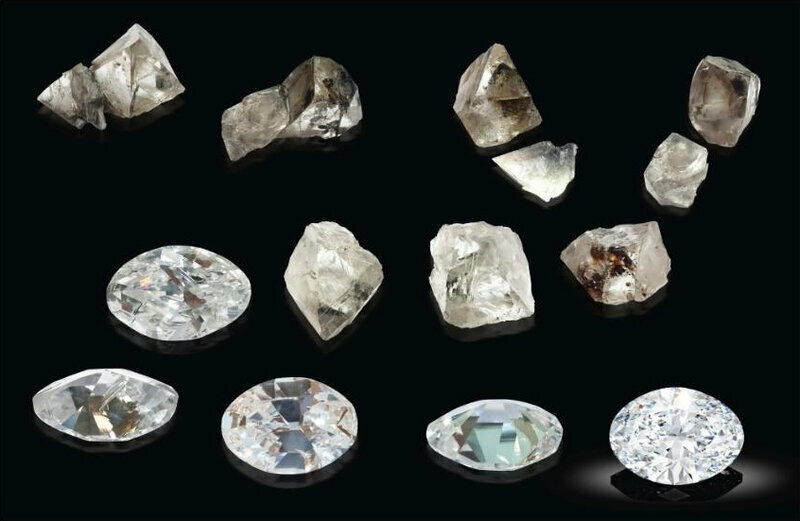 The author takes records of diamonds – alluding to the fact that the diamonds were already an important part of King Chandragupta Maurya’s (320-298 BC) reign in his book of ‘The Lesson of Profit (Science of Material Gain)’. Diamonds were subject to taxes and custom duties, and the mines that produced them were of paramount importance in generating wealth. The author further mentions that the highest quality diamonds were big with regular shapes and were brilliant in refracting light. Initially, India’s diamond resources yielded limited quantities for an equally limited market: India’s very wealthy classes. However, gradually Indian diamonds found their way, along with other exotic merchandise, to Western Europe and other parts of the world. By the end of the 14th century AD, India had opened up trading with most of Europe and became firmly positioned as the famed diamond capital. Perhaps the most famous of all Indian diamonds would be the Golconda diamonds, which rose to fame during the height of the Mughal Empire. The empire acquired the state in 1687, and soon the region became synonymous to great prosperity and wealth. It was said that all diamonds greater than two carats were to be owned by the royalty, who quickly amassed magnificent collections of these renowned gems. Emperor Shah Jahan (1628 – 1658) was one of the most famous gem connoisseurs of the empire, commissioning the legendary Peacock Throne on the first day of his reign. Referred to as ‘the richest of thrones’ by the French merchant Jean-Baptiste Tavernier, the crowning jewel of the throne that was adorned with hundreds of emeralds, rubies and pearls was a spectacular diamond, often rumoured to be the Koh-i-Noor. In the 17th century, Tavernier travelled to Asia six times, covering half the distance from the Earth to the Moon over the course of his lifetime in search of fantastic rarities. Louis XIV, the Sun King, would purchase over a thousand diamonds from Tavernier, out of his passionate love for the gem and to solidify the opulence of his court. In the early 18th century, the Indian mines produced less and less diamonds and were close to depletion. Fortunately, this was when Brazilian diamonds were discovered and upon reaching its full potential, quickly rose to importance, lasting more than 150 years. As the Age of Enlightenment began, diamonds were treasured as symbols of luxury and status rather than as mythical stones. Today, diamonds are found around the globe, though gem-quality diamonds are perennially rare. The story of Africa’s diamonds began in 1866 with the discovery of a 21.25carat rough, found at a farm near Kimberly. Named the “Eureka diamond, it was the first Africa diamond to be authenticated. Another significant discovery was the Star of South Africa in 1869, an impressive 83.50carat rough diamond, which renewed diamond fever throughout the region, transforming central and southern Africa into the most significant diamond producers in the late 1800s, and still remains today amongst the world’s major sources. Throughout history, the discovery of a large sized diamond has never failed to elicit a sense of excitement and admiration from many. To truly appreciate a diamond’s beauty and origin, one must understand the process of its turbulent passage from its formation. As the only gem that is made of a single element, its chemical purity requires an equally unique environment to form. Graphite is a mineral that shares its pure mineral composition with diamonds. However, it is the formation of crystal structures that differentiates between the hardness of diamonds to the soft nature of graphite. Individually, heat and pressure are strong enough to alter the phases of matter between solid, liquid and gas. Combined, the forces can alter elements at the atomic level. For diamonds, it is when carbon atoms bond equally in all directions forming strong bonds within a rigid three-dimensional pattern which give its extraordinary hardness. This is only possible under extreme pressure combined with high heat, within a specific depth range in the upper mantle, each factor concurrently limiting how large a diamond forms. Approximately below 100 miles from the earth’s crust is the critical zone where diamonds could potentially form, below ancient continental masses. After formation, the mineral is projected through the earth’s crust via volcanic conduits and pipes, eventually depositing the diamond rough near earth’s surface. Most diamond roughs are unable to endure the tremendous stress and harsh conditions, many fracturing and crumbling into smaller fragments along its journey. Most diamonds originate from two rare types of volcanic rocks, which are lamprolite and kimberlite. Kimberlite is named after Kimberley in South Africa; the centre of the diamond market in the country. Resulting from volcanic eruptions, magma expels the mantle rocks that contain the diamond rough to earth’s surface. These volcanic ‘pipes’ and conduits are where most of the diamonds are found and mined. Interestingly, these eruptions are a very rare occurrence that has not been observed in recent times. It is believed that these deep-rooted eruptions took place when the earth was much hotter, a more conducive environment for diamond formation. The speed of projection was also incredibly rapid, as should the momentum be any slower, the diamonds would have formed graphite instead. Although diamonds themselves are not easy to date as to how old they truly are, other minerals found within these crystals typically suggest that they are at least hundreds of millions of years old, if not a few billion years old. 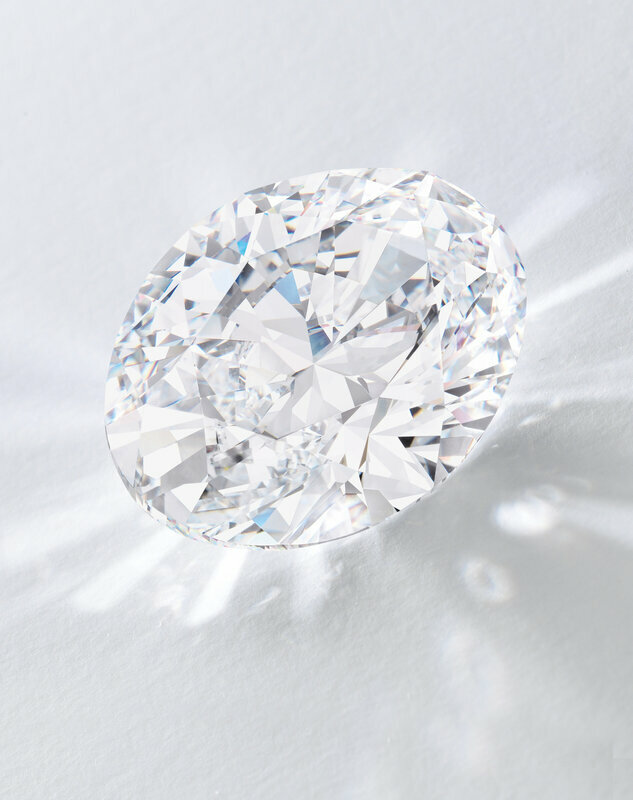 The sheer circumstance of the 88.22 carat Oval Brilliant diamond withstanding such unforgiving conditions is a testament to its rarity. Diamonds in Botswana are located in the semi-arid region of the country. It is known that approximately 40% of the world’s diamond rough supply is sorted and valued in Botswana. Two of the largest kimberlite pipes are found here: Jwaneng and Orapa. These pipes were a relatively modern discovery, due to Botswana’s desert landscape. Central Botswana is largely shared with the Kalahari Desert, and the major kimberlite pipes were also covered by thick sand and dunes. The pipes for Orapa and Letlakane mines were first discovered, which was followed by the Jwaneng pipes in southern Botswana, buried under 20 – 60m of desert sand. 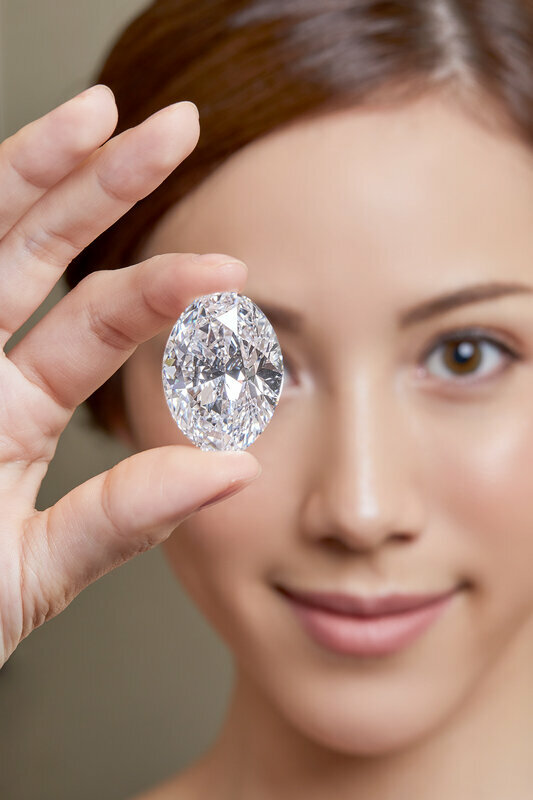 Jwaneng means “a place of small stones”, although the term, fortuitously, does not apply to the huge 242.24 carat rough that was unearthed to transform into the Spectacular 88.22carat Oval Brilliant diamond. The Jwaneng pipe was discovered in the Naledi River Valley (Valley of the Stars) in 1972 and became fully operational in 1982. Also referred to as the “Prince of Mines”, it is located about 120km (75 miles) west of Gaborone, and owned by Debswana, a partnership between De Beers and the government of Botswana. The mine was officially opened by the then President of Botswana, His Excellency Sir Ketumile Masire. An open-mine pit that is located on three separate kimberlite pipes that converge near the surface as its main source of production, having erupted about 245 million years ago. An ecologically responsible mine, Jwaneng is the first mine in Botswana to achieve an ISO 14001 certification for environmental compliance. Included in Jwaneng’s mining lease is the Jwana Game Park property, home to several conservation efforts and endangered animal species. Now the Jwaneng mine boasts its legacy as the richest diamond mine in the world by value, and the mine itself is so massive that it can be seen from outer space. Originally projected to be near depletion in 2017-18, a new expansion project called Cut-8 aimed at extending into the kimberlite pipes laterally. This would potentially extend the life of Jwaneng mine to 2028 and beyond, generating more than 1,000 jobs during the operational phase. The Jwaneng mine already owns and operates a hospital as well as an airport, and is well-known globally for its excellent safety record. Discovered as a 242 carat rough, it is a size that was almost three times larger than its polished form. A rough of such a size undergoes a painstaking process of planning before it can be cut or polished, to achieve the best cut, clarity, colour and carat weight – also known as the 4Cs of diamond grading. The exterior of a rough diamond contains several clues about the gem within. Every crystal is different, as each is a result of a distinctive growth history. The unique formations of diamond crystals during the geological processes attest to the power of the natural world. Once nature has run its course and a diamond has emerged onto earth’s surface, it becomes man’s responsibility to reveal its striking inherent qualities. When placed into the hands of a skilled cutter, the intrinsic beauty of a diamond has the potential to be realized. Prior to the cutting, diamond cutting experts as well as planners meticulously examine the rough to orientate the diamond’s crystal structure. It is crucial to understand the directions of its form as it dictates the options of potential cutting angles. Experts will balance out many factors before settling on a final decision, such as weight retention, colour quality, optimal shape, and others. As diamonds grow under tremendous heat and pressure deep within the earth, it is very common for it to form with a variety of internal inclusions and trace elements. During the planning stage, all of its internal characteristics will be taken into consideration; it is extremely challenging to produce top quality colorless diamond that is devoid of inclusions and blemishes, much less to an impressive size of 88 carats. 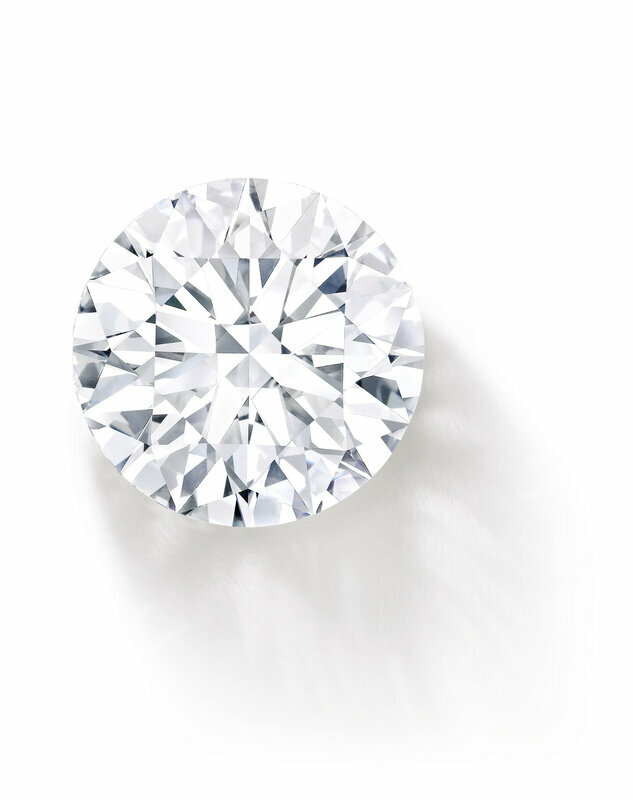 The clarity scale begins with those rare diamonds in which no internal or surface-reaching features can be observed at the standard magnification: Flawless or Internally Flawless (FL/IF). Upon close examination, this diamond has been afforded the highest and most desirable rank of Flawless on the GIA Clarity. The GIA colour scale begins with D, which represents the most colourless of diamonds. The scale then continues with E, through to the alphabet Z, which denotes slightly tinted diamonds. This diamond was graded D colour, placing it at the top of the colourless range. Very few gems possess the magnificent colourlessness as witness within such a large gemstone. Type IIa diamonds are rare, as they contain no IR-detectable nitrogen or boron impurities in their chemical structure, and represent less than 2% of all diamonds mined. Considered the most chemically pure diamonds, these diamonds also tend to display exceptional transparency. The spectacular 88.22 carat Oval Brilliant underwent infrared spectroscopic analysis testing at the GIA, which concluded that it was a type IIa diamond, which is considered a very pure diamond with no detectable nitrogen impurity. 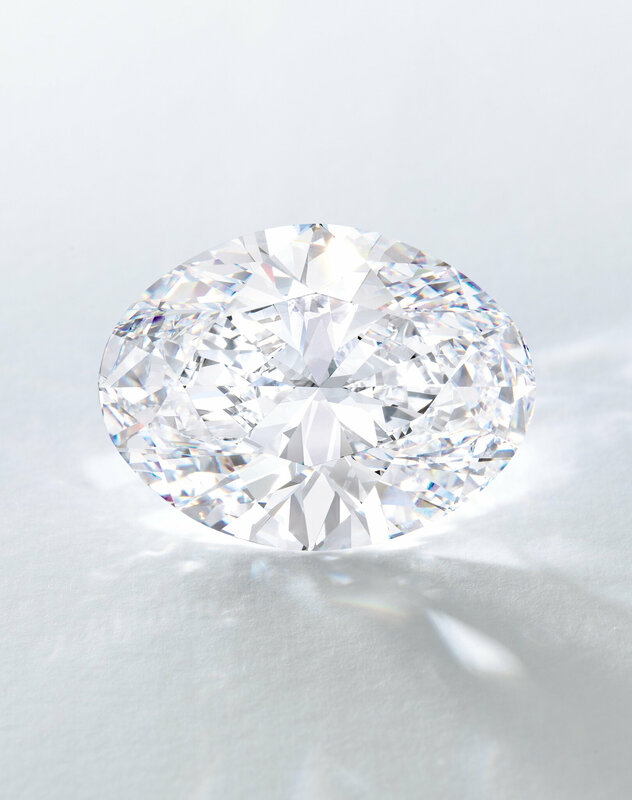 The spectacular 88.22 carat Oval Brilliant diamond possesses D colour, Flawless clarity, Type IIa, as well as being graded with excellent polish and symmetry by the GIA. This shape and cutting style combines an elliptical girdle outline with triangular-shaped facets. 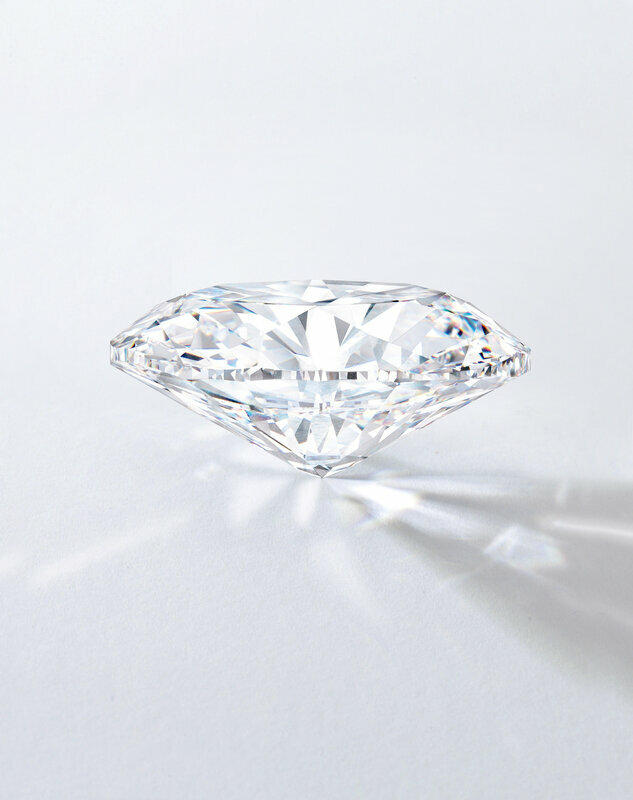 The 242 carat rough originally was an elongated piece, which likely led to the choice of the oval shape to preserve the greatest amount of weight. The end product is reflective of the painstaking process that took more than 7 months, to design, polish and finish, a precise combination of experience, skill and tremendous amount of patience – a masterpiece of human ingenuity as it is of nature. The number eight in Chinese, and also in other Asian cultures has been a symbol of luck for many generations. In Chinese, the number eight is ba (八), which has a spoken similarity to the word fa (發). The meaning of fa is ‘to generate wealth’, which associates the number eight with prosperity. The cultural significance of eight can be observed in many instances, such as the opening ceremony of the Summer Olympics held in Beijing, 2008. The ceremony was timed carefully to begin at 8:08 PM, with an additional eight seconds past so that there would be a multitude of eights; wishing for auspiciousness in the upcoming events. Beyond society, even among individuals there is a strong admiration towards the number eight in the Chinese culture, and people seek out owning this number in many different ways. This includes phone numbers, apartment floors, and even vehicle license plates. Number two also has a special place among Chinese culture, as there is a saying that good things should come in pairs. The Chinese word for joy, xi (喜) can be doubled up which form a new word shuang xi (囍) – literally meaning ‘double joy’. In Chinese marriages, shuang xi is often the choice of decoration to wish the newlyweds all the happiness and prosperity in pairs. In Cantonese, two is pronounced yih (二) or leuhng (兩), which sounds similar to the words for yih (易) and leuhng (亮), each meaning easy and bright. When 2 and 8 are paired together, they symbolize ‘easily prosperous’ as it sounds similar to yih faat (易發). In 2016, a bidder paid $2.3 million USD for an auspicious Hong Kong license plate that bears both the numbers 2 and 8. The spectacular 88.22 carat Oval Brilliant diamond bears strong cultural significance as it embodies a pair of eights and twos – an extremely rare and fortunate case. For a diamond to reach a size of 88 carats is extraordinary, but the accuracy that comes from the skilled craftsmanship in the faceting process of the rough stone is what gifts its two decimal points a pair of twos; a true marvel of nature honed to perfection by man. Lot 1800. 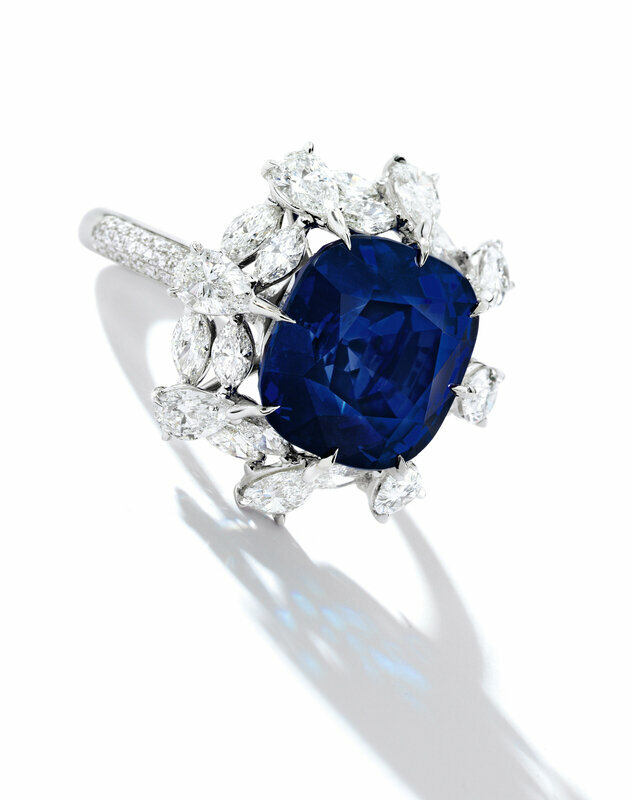 A superb 13.88 carat Kashmir sapphire and diamond ring. Estimate HK$14 - 18 million / US$1.8-2.3 million. Lot Sold 19,375,000 HKD (2,471,475 USD). 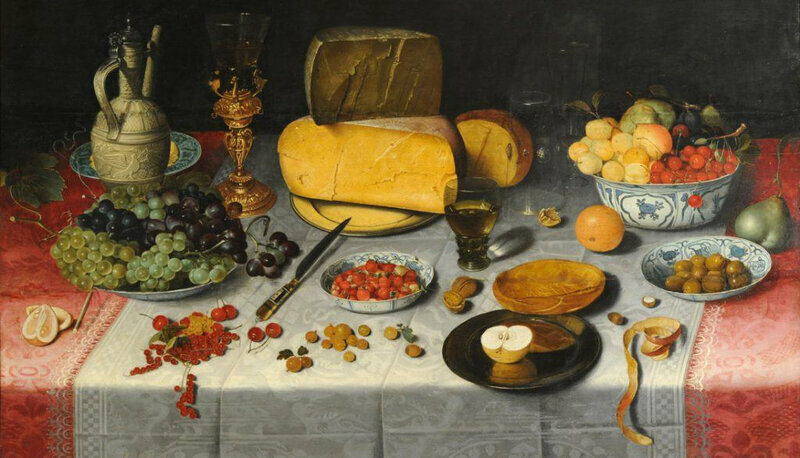 Courtesy Sotheby's. Set with a cushion-shaped sapphire weighing 13.88 carats, surrounded by pear-shaped diamonds embellished with marquise-shaped diamond spacers, to the brilliant-cut diamond shoulders, mounted in 18 karat white gold, size 6. Accompanied by SSEF report no. 101318, dated 13 July 2018 and Gübelin report no. 18070121, dated 30 July 2018, both stating that the 13.88 carat sapphire is of Kashmir origin, with no indications of heating, also stating that the colour of this sapphire may be called 'royal blue'; also accompanied by Gübelin Appendix letter stating 'The natural sapphire of 13.88ct...possesses a richly saturated and homogeneous colour, combined with a high degree of transparency, and a finely proportioned cut...Such a combination of characteristics is rare in natural Kashmir sapphires of this size. '; further accompanied by SSEF Appendix letter stating 'A natural sapphire from Kashmir of this size and quality can be considered rare and exceptional'. 8 is a significant number often associated with prosperity; symbolic of perfection and eternity. The Chinese pronunciation of 8 (bā) similar to that of發 (fā) meaning wealth or fortune, is welcomed as a blessing of affluence. In its duality – 88 – is believed to bring good wishes in abundance. Beyond their auspicious ties, the specially curated selection of jewels embodying the number 88 in their carat weight also exhibits a meticulous planning process and unrivalled cutting skills. The carat weight of a diamond or gemstone is often determined with the aim of achieving optimal colour and clarity. Whilst diamonds are evaluated based on the 4Cs: Cut, Colour, Clarity and Carat Weight, it is the latter that often differentiates one stone from another, to which share the same Cut, Colour and Clarity grading. The specificity of a carat weight being universally expressed to the second decimal place allows for a certain level of reliance on its carat weight as its identifying factor. Gemstones also share a similar philosophy, and are often recognized by their impressive carat weights, alongside their distinctive colour and clarity attributes. The carat weight of a gemstone is rarely chanced upon; bearing testament to the stone cutter’s skill and adept craftsmanship to be able to produce a superb gem to a specific carat weight. Obtaining the envisioned carat weight, taking into consideration the restrictions provided by nature, is a task representative of extreme precision and technical accuracy. Each rough undergoes a comprehensive process of planning, cutting and polishing, transforming it from a natural state into a radiant beauty. The final carat weight of a gem, when compared to the initial weight of the rough, can be as high as 50%. Cutters evaluate the opportunities and obstacles in preparations to cut the gem. An exceptionally well-cut gem can add significant value to a gem, as gems cut by an experienced and highly regarded cutter can add up to 40% of value to the stone. If the gem remains in rough form, its value would be comparatively less. 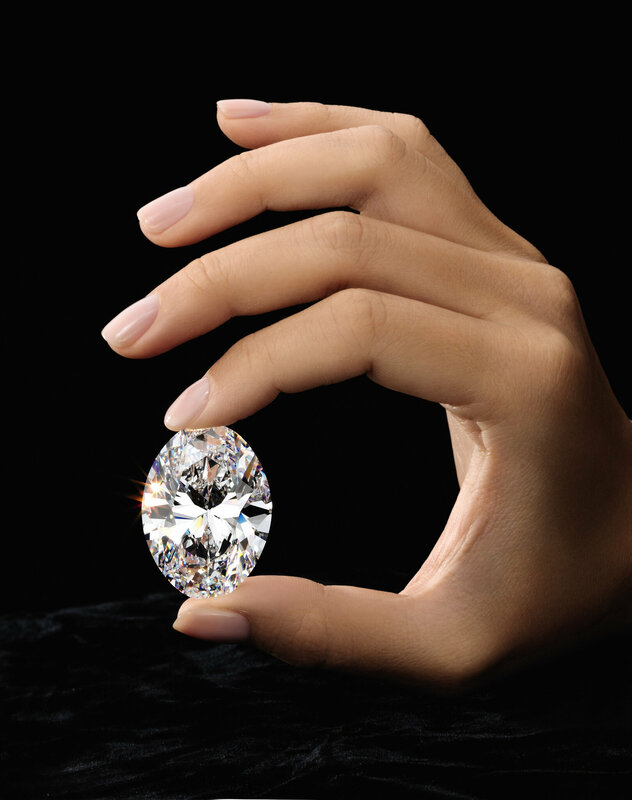 The influence of well-proportioned cuts on a gem’s value is contributory to its rarity. In this instance, the quality of this curation is elite. Whether through colour, clarity or cut, these treasures of nature are presented with the highest regard. Their exacting specificity distinguishing them as reflected in their carat weights, fine examples of supreme craftsmanship and demanding precision. Lot 1799. A 10.88 carat diamond ring, D Colour, Internally Flawless, Type IIa. Estimate HK$9.5-11 million / US$1.2-1.4 million. Lot Sold 13,975,000 HKD (1,782,651 USD). Courtesy Sotheby's. Set with a brilliant-cut diamond weighing 10.88 carats, embellished with similarly-cut diamonds, mounted in 18 karat white gold, size 5½. Accompanied by GIA report no. 5141067685, dated 1 November 2018, stating that the 10.88 carat diamonds is D Colour, Internally Flawless, with Excellent Cut, Polish and Symmetry; further accompanied by diamond type classification report stating that the diamond is determined to be a Type IIa diamond. Type IIa diamonds are the most chemically pure type of diamond and often have exceptional optical transparency. Dating back to the mid-18th century, this extraordinary jewel embodies the aesthetic ideals of the time with nature themes of rococo style flourishing within the design. Cherished and treasured by generations of royalties, this stunning emerald brooch was spared of remounting, and has been well preserved throughout the ages. The jewel was once owned by Lady Anne Maud Rhys, 7th Duchess of Ciudad Rodrigo (1910-1998), descendant of the 1st Duke of Wellington. Lot 1797. Rococo Refinement. 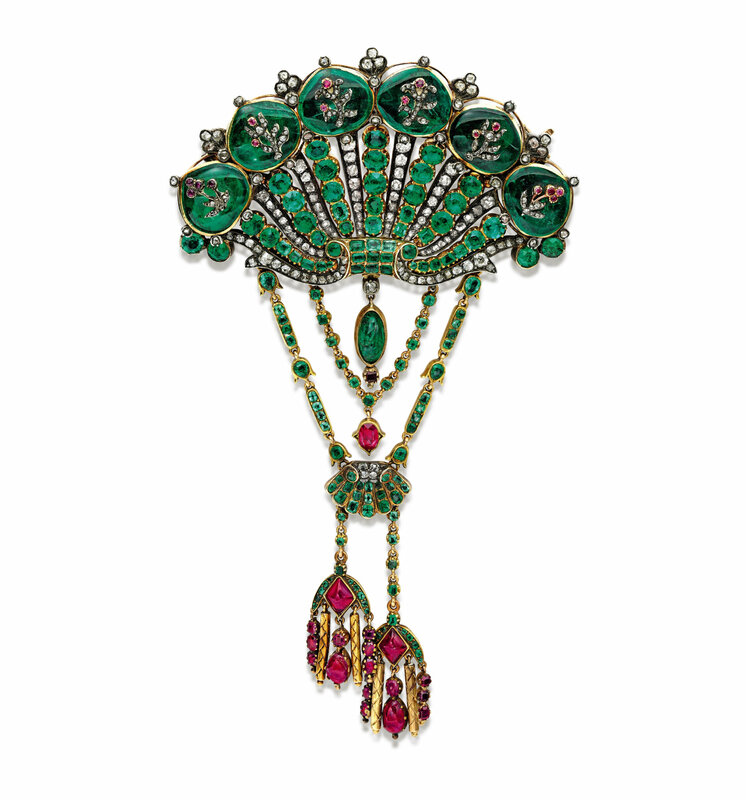 A Rare Emerald, Ruby and Diamond Brooch, Circa 1750. Estimate HK$2,000,000-3,000,000 / US$255,000-383,000. Unsold. Courtesy Sotheby's. Designed as a shell set with emeralds and old-mine- and rose-cut diamonds, crowned by six cabochon emeralds each applied with a ruby and diamond flower, suspending a cabochon emerald and two emerald-set link chain, one embellished with an oval ruby and the other to a smaller shell terminating with two variously-shaped ruby tassels, mounted in silver topped gold and yellow gold, brooch fitting detachable, fitted case. Provenance: Lady Anne Maud Rhys, 7th Duchess of Ciudad Rodrigo (1910-1998), descendant of 1st Duke of Wellington. The brooch is designed as a shell outlined in diamonds. Further lines of diamonds run between emerald ribs, crowned by six cabochon emeralds to which sprays of ruby and diamond flowers are applied, highlighted by groups of small diamonds. An emerald drop, a small shell and emerald chains ending in diamond tassels hang beneath. 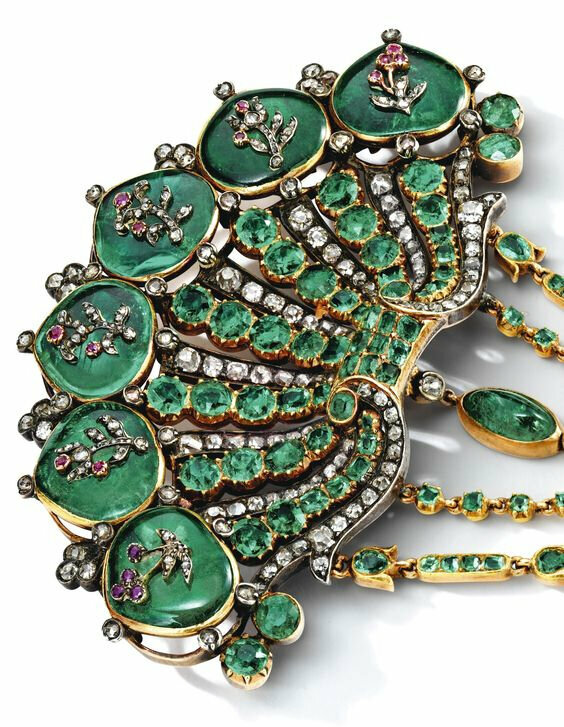 Illustrating Spanish taste for deep green emeralds, this brooch unites three characteristic motifs of the rococo style - shells, flowers and tassels. Pinned to the corsage, the flowers bordering the low-cut neckline and the tassels falling down to the waist, this handsome brooch would have stood out against a stiff brocade court dress, drawing attention to the royal wearer. The 18th century was a special era for Jewellery – when royal jewels achieved a new level of perfection, led by the French Monarchy. The rococo style, which originated in Paris in the early 18th century, was soon adopted by other neighboring European countries; idealized by elegance, curves and natural foliate motifs. By the late 18th century, archaeological discoveries in Pompeii became sensational news for the art scene and inspired classical ideals of beauty. Classicism in jewels flourished with these decorative motifs, and gems were mounted in closed back settings using silver and gold. In line with the trendy décolleté (low neckline garments) of the time, necklaces as well as brooches for the bust were favored among rococo jewels. Candles were the choice of lighting in the evening during the 18th century, and grand events were usually scheduled for the night. Magnificent jewels were an essential element to the court dresses, which dazzled under the marvelous chandeliers. 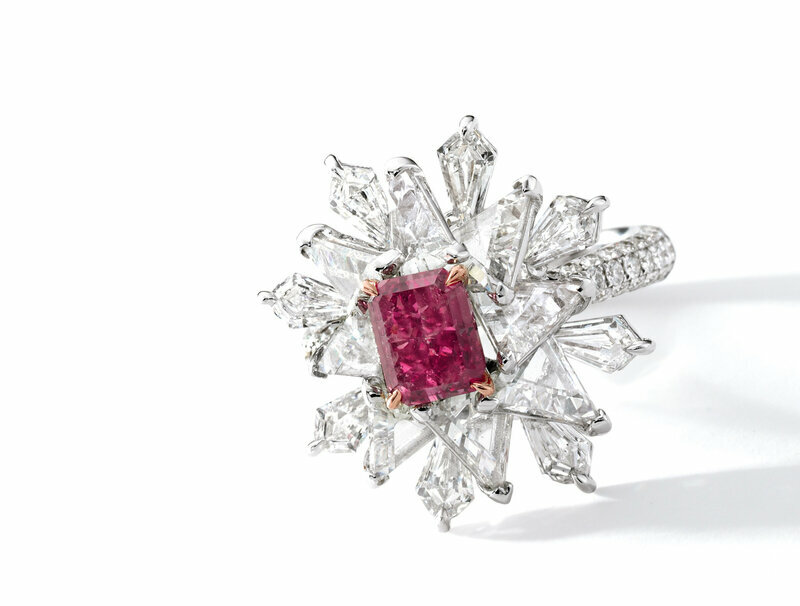 Throughout the century, Spanish royalty enjoyed coloured stones as much as diamonds. Spain had developed emerald mines in Colombia and Peru since the 16th century, and the best of these gems were mounted in intricate jewels with extremely fine detail. Under King Philip V (1683-1746), who was the grandson of Louis XIV, and his son Charles III (1716-1788) Spain was prosperous and institutions were reformed. Jewellery played a pivotal role in the royal courts, and emerald parures characterized the traditional preference of Spanish Jewellery: with necklaces, rings, stomachers, brooches, earrings, and more. The Spanish royalty had a penchant for deep green emeralds, which were highly valued for thousands of years. However very few pieces of jewels from this era have survived through the ages, as almost all precious pieces at the time were destined for remounting. Due to its high intrinsic value, it was very common for the gems to be unmounted and redesigned to suit the wearer as it kept up with the changes in fashion and taste. Even if they were not entirely remounted, it was common for the jewels to be dismantled and separated due to the rarity of the gemstones. Lot 1797 is an extraordinary jewel dating back to the mid-18th century, which has survived more than two hundred fifty years. Cherished and treasured by the royals, this stunning emerald brooch was spared of remounting, and has been well preserved throughout the ages. The jewel embodies the aesthetic ideals of the time, with nature themes of rococo style flourishes within the design. 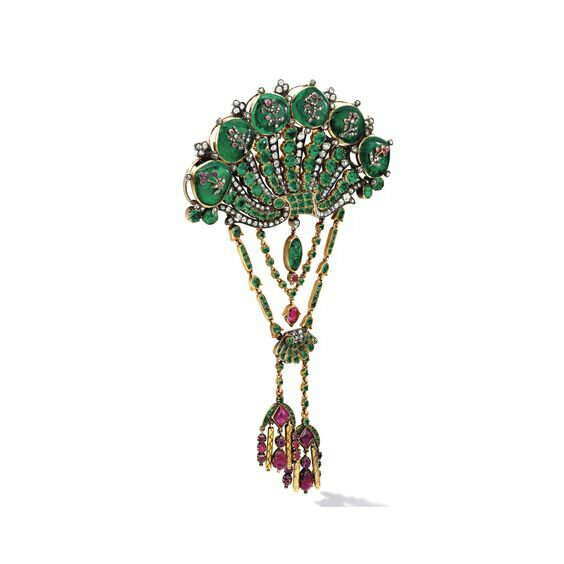 The brooch takes the form of a shell encrusted with diamonds, emeralds and rubies, embellished with sprays of flowers on the crowning emerald cabochons – perfected with emerald drops, gold tassels and a smaller shell. In the 18th century this brooch would’ve been pinned to the corsage of the royal Spanish court dress, sparkling under the candlelit banquets. Later this jewel was owned by Lady Anne Maud Rhys, 7th Duchess of Ciudad Rodrigo (1910-1998), descendant of the 1st Duke of Wellington. She was seen wearing this brooch as the centerpiece of her dress as illustrated below. This remarkable brooch is not only unique due to its beautiful design and the quality of gems, but also due to the fact that it has survived hundreds of years in an impressive condition while accentuating generations of royalties. Celebrated for their rarity and beauty, fancy coloured diamonds can come in every colour of the rainbow. Recent trends have shown a dramatic increase of attention for these fantastical gems from the late 20th century until now. Lot 1798. A Rare 3.32 carats Fancy Vivid Blue Diamond and Diamond Ring. Estimate HK$46-60 million / US$5.8-7.6 million. Unsold. Courtesy Sotheby's. 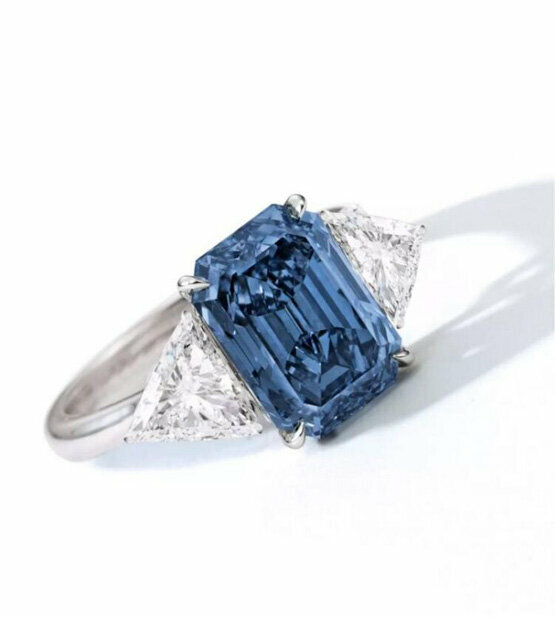 Set with a cut-cornered rectangular step-cut fancy vivid blue diamond weighing 3.32 carats, between trilliant-cut diamonds, mounted in 18 karat white gold, size 6. Accompanied by GIA report no. 6193579353, dated 1 November 2018, stating that the diamond is Fancy Vivid Blue, Natural Colour, Internally Flawless. Lot 1783. A 1.21 carat fancy vivid green-blue diamond and diamond ring. Estimate HK$6,200,000-7,000,000 / US$795,000-895,000. Unsold. Courtesy Sotheby's. 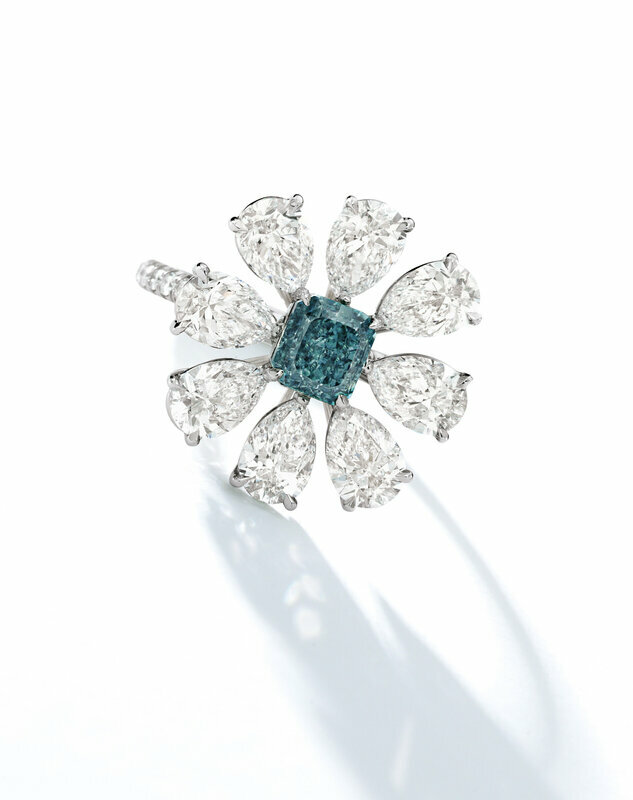 Of floral design, centring a cut-cornered rectangular modified brilliant-cut fancy vivid green-blue diamond weighing 1.21 carats, the petals set with pear-shaped diamonds weighing 4.02 carats in total, the shank decorated with brilliant-cut diamonds, mounted in platinum, size 6. Accompanied by GIA report no. 2155795723, dated 23 January 2014, stating that the 1.21 carat diamond is Fancy Vivid Green-Blue, Natural Colour, SI1 Clarity; also accompanied by eight GIA dossiers, stating that eight diamonds ranging from 0.51 to 0.50 carat are D Colour, VVS1 to VVS2 Clarity. Lot 1781. A 1.16 carat fancy vivid purplish pink diamond and diamond ring. Estimate HK$1,900,000-2,500,000 / US$243,000-319,000. Unsold. Courtesy Sotheby's. Set with a cut-cornered rectangular mixed-cut fancy vivid purplish pink diamond weighing 1.16 carats, surrounded by triangular- and kite-shaped diamonds, half-shank decorated with brilliant-cut diamonds, mounted in 18 karat white and pink gold, size 6. Accompanied by GIA report no. 1152827543, dated 7 December 2017, stating that the 1.16 carat diamond is Fancy Vivid Purplish Pink, Natural Colour, I2 Clarity. Lot 1784. A 3.05 carat fancy intense green diamond and diamond ring. Estimate HK$4,900,000-6,500,000 / US$625,000-830,000. Lot Sold 5,935,000 HKD (757,069 USD). Courtesy Sotheby's. Set with a round-cornered square modified brilliant-cut fancy intense green diamond weighing 3.05 carats, between two shield-shaped diamonds, mounted in 18 karat white gold, size 6. Accompanied by GIA report no. 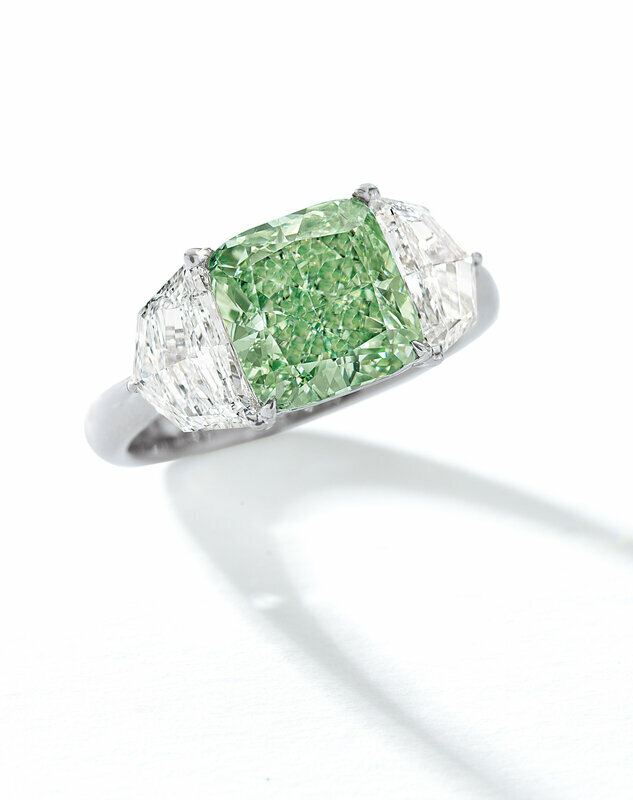 1149231777, dated 8 March 2018, stating that the 3.05 carat diamond is Fancy Intense Green, Natural Colour, SI2 Clarity. Also accompanied by a GIA Portrait Report. Lot 1714. A 20.41 carat fine fancy vivid yellow diamond and diamond ring. Estimate HK$7,000,000-9,000,000 / US$895,000-1,150,000. Unsold. Courtesy Sotheby's. 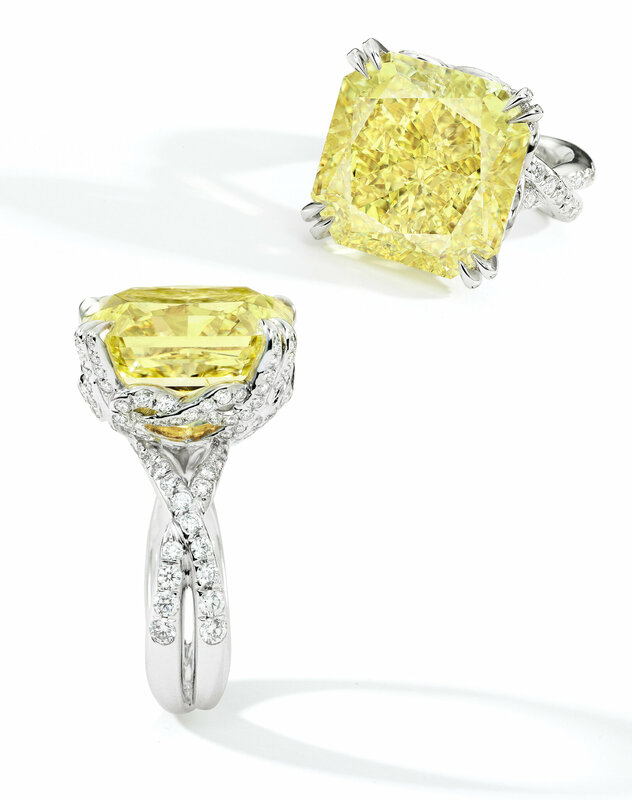 Set with a cut-cornered square modified brilliant-cut fancy vivid yellow diamond weighing 20.41 carats, the entwined gallery and shoulders decorated with brilliant-cut diamonds, mounted in 18 karat white gold, size 6. Accompanied by GIA report no. 2165680997, dated 23 July 2018, stating that the diamond is Fancy Vivid Yellow, Natural Colour, VS2 Clarity. 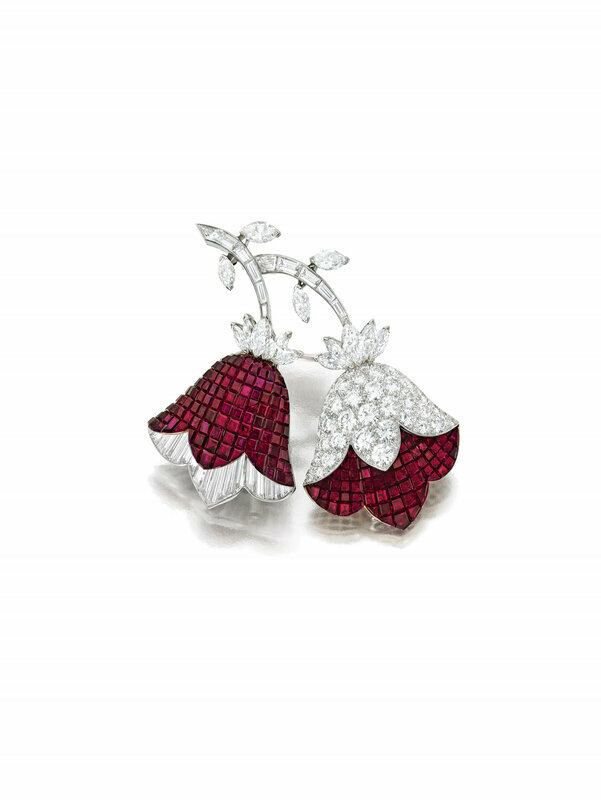 Designed as a pair of blooming bellflowers, the petals mystery-set with calibré-cut rubies, one embellished with pavé-set diamonds and the other with calibré-cut diamonds, to the baguette diamond stems with marquise-shaped diamond leaves and sepals, mounted in platinum and 18 karat yellow gold, maker's marks for Van Cleef & Arpels, French assay marks, three rubies deficient. Literature: Cf. : Xavier Barral, The Art & Science of Gems: Van Cleef & Arpels, Paris, 2016, pg. 178, for an illustration of a brooch of similar design, dated 1969. Patented in 1933, the Mystery Set™ technique remained one of the most unique inventions by Van Cleef & Arpels. Created by setting each stone in such a way that no prongs are visible, the level of expertise required to make Mystery Set™ is reserved for an exclusive realm of a small number of master jewelers. By faceting each stone to fit extremely narrow gold rails, no thicker than 0.2mm, the gems when mounted would look free of any metal settings that hold them in place. However, this technique requires intense precision with immense patience, to create three dimensional jewels within complex designs. This unusual bellflower clip brooch offered in Lot 1796 by Van Cleef & Arpels is a child of the 1960s, depicting two delicate bellflowers in bloom using the Mystery Setting™. An exceptionally rare jewel that illustrates the craftsmanship of the Maison, the design for the brooch was published in the 1963 issue of L’Officiel de la Couture et de la Mode de Paris, along with other bejeweled clips from esteemed brands of the time. 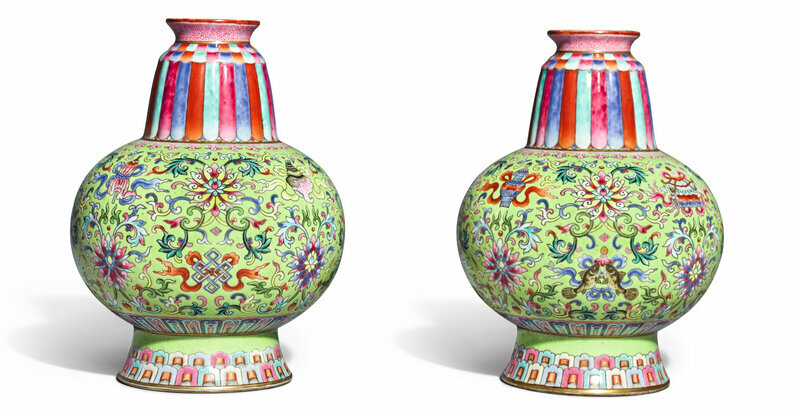 During this period, the decorative arts enjoyed liberating freedom into alternative forms and colours. 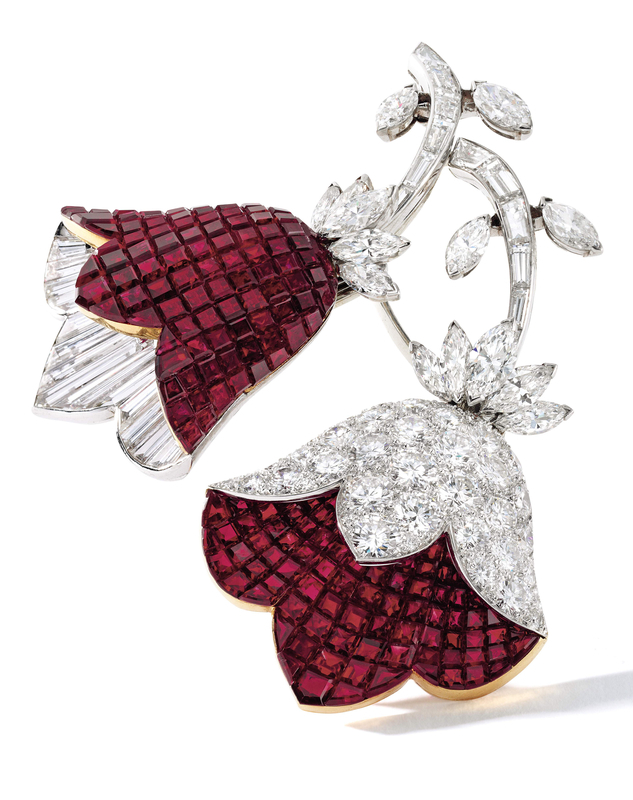 In jewellery, there was a classical movement which embraced beauty found in natural elements of birds and flowers. These themes inspired by flora and fauna would often be embellished with precious gems, such as diamonds, sapphires and rubies. The 1960s was a fabulous decade for Van Cleef & Arpels – in 1967, the Maison was commissioned to create a coronation crown for the Empress Farah Palavi, as well as jewels for the Shah’s family. This was one of the most prestigious special orders in the history of Van Cleef & Arpels, affirming the global reputation of the Maison. Throughout the decade, Van Cleef & Arpels created captivating bejeweled flowers modeled after blossoms of daisies, camellias, fuchsias, and bellflowers. 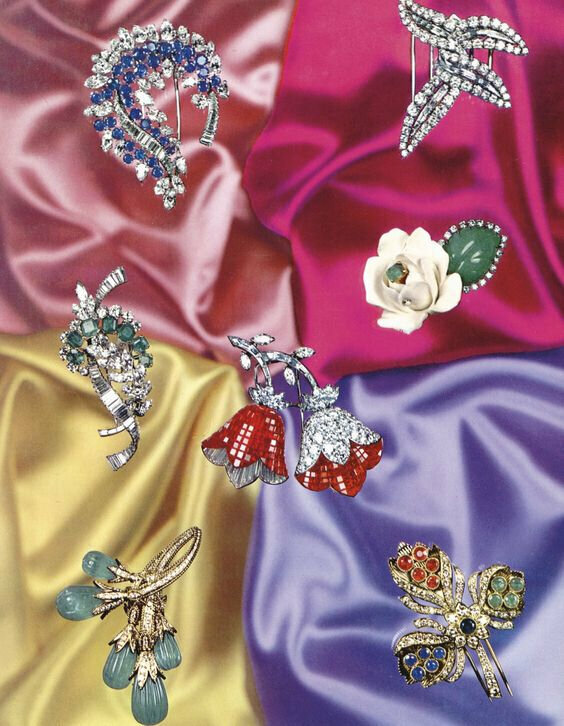 Records also show that these flower themed jewels from the Maison were well received by style mavens of the time. Maria Callas, the legendary Greek soprano, was captured on multiple occasions wearing a now-iconic floral clip by the Maison, bejewelled with diamonds and rubies, gracefully accenting long, elegant dresses. Lot 1796 epitomizes timeless beauty with floral motif, accentuated by the legendary the Mystery Set™ technique. 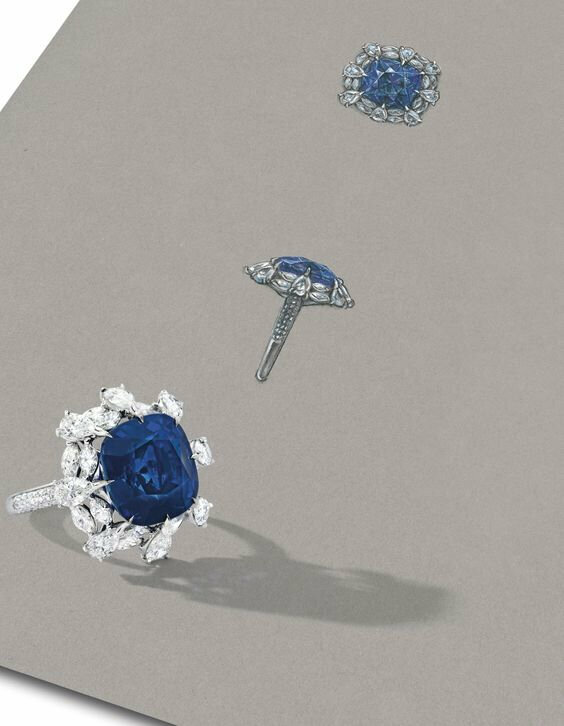 A similar clip of bellflowers made in 1969, set with sapphires - part of the Van Cleef & Arpels Collection, is illustrated in The Art & Science of Gems: Van Cleef & Arpels. This bejeweled brooch would be a cherished addition to any discerning connoisseur’s collection. Lot1718. 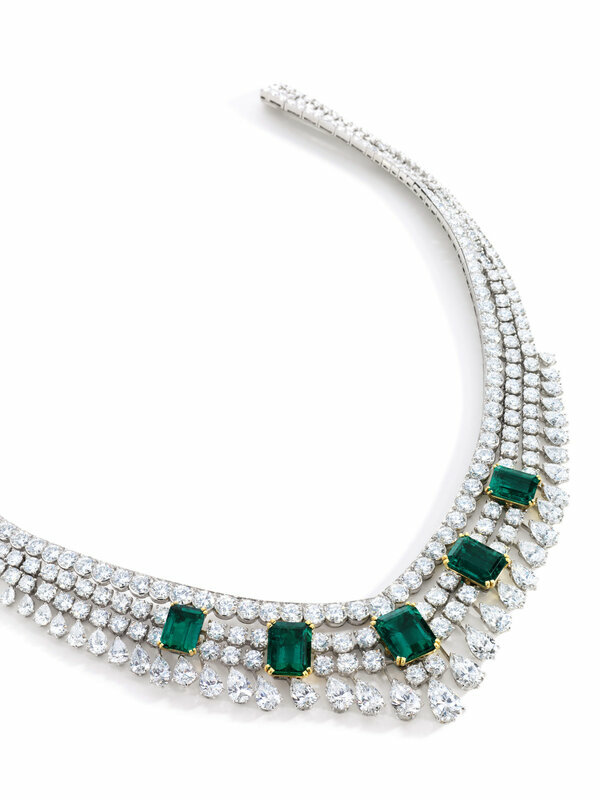 An impressive Colombian emerald and diamond necklace, Toscane, Van Cleef & Arpels. Estimate HK$5,600,000-7,500,000 / US$715,000-960,000. Lot Sold 8,575,000 HKD (1,093,827 USD). Courtesy Sotheby's. Designed as three graduated rows of brilliant-cut diamonds, to the front set with five step-cut emeralds weighing 31.74 carats in total, suspending a fringe of graduated pear-shaped diamonds, the diamonds weighing approximately 88.00 carats in total, mounted in platinum and 18 karat yellow gold, length approximately 390mm, signed Van Cleef Arpels, numbered, maker's mark for Van Cleef & Arpels, French assay marks, case stamped Van Cleef & Arpels. Accompanied by SSEF report no. 103377, dated 8 November 2018, stating that the emeralds are of Colombian origin, the 4.30 carat emerald with no indications of clarity modification and the other four with indications of minor oil clarity modification. Also accompanied by AGL report no. 8089012, dated 11 March 2019, stating that the 4.30 carat emerald is of ClassicTMColombian origin, with insignificant to minor clarity enhancement. Further accompanied by original receipt from Van Cleef & Arpels. Colombian emeralds have been sought after by virtually every powerful empire since ancient Egypt, including the Romans, Spanish conquistadors, and India’s Mughals, whose love for the gems knew no limits. Emeralds have many characteristics but are particularly prized for their colour, rendering them the standard for green amongst the coloured gemstone world. Emeralds receive their brilliant green hue from trace elements of chromium, iron and vanadium combined with the millenary years of formation far within the Earth’s crust. The desirability of emeralds originating from the historic deposits of Colombia in particular are attributed to their formation process during the quaternary period, when Boyaca and part of the Eastern Ranges belonged to the ocean. This meant that emeralds were actually formed within an aquatic environment granting them their natural clarity above the rest. This unusual location influenced the intensity level of each element in its composition, high levels of chromium combined with leveled vanadium and lower iron content gives the beryl it’s unique and desired bluish green to green hue and tone. Above their distinct green colour, Colombian emeralds are further enhanced by their natural fluorescence above the rest. Emeralds typically contain inclusions visible to the unaided eye, which has been accepted by all gemstone connoisseurs; so much so that the moss-like inclusions are charmingly referred to as “jardin”, meaning garden in French. Van Cleef & Arpels is a maison brought to life through the unique creative energy of love. During the late 19th century, Estelle Arpels, the daughter of a precious stones dealer met Alfred Van Cleef, the son of a stone cutter, this love story led to the natural marriage both in love and in jewellery. 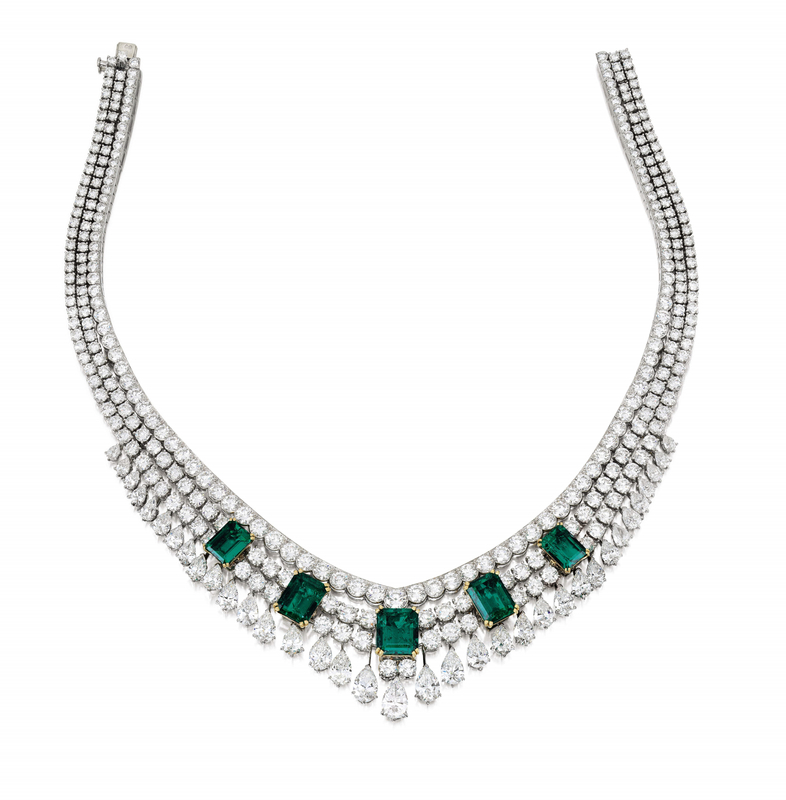 The love affair continues as Van Cleef & Arpels is known for their enchanting collections containing impressive emeralds. Each jewel contains carefully selected green beauties from their colour to their purity, in the search for perfectly located “jardins” and hues giving character to each individual piece of jewellery. Lot 1718, the ‘Toscane’ necklace, contains five Colombian emeralds delicately set in an exquisite creation by Van Cleef & Arpels, once again marrying the art between nature and craftsmanship. Lot 1717. 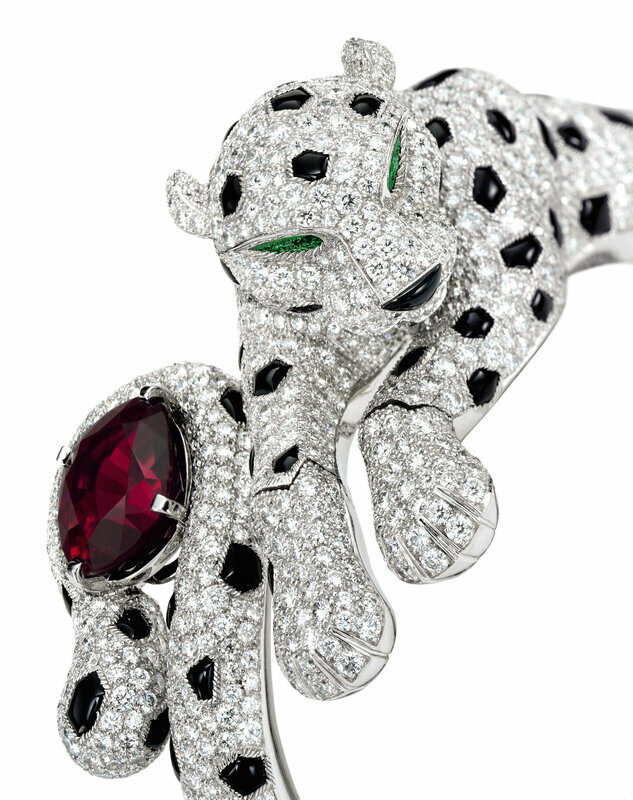 An important Mozambican ruby, diamond and onyx bangle, Panthère, Cartier. Estimate HK$8,000,000-9,600,000 / US$1,020,0001,230,000. Unsold. Courtesy Sotheby's. 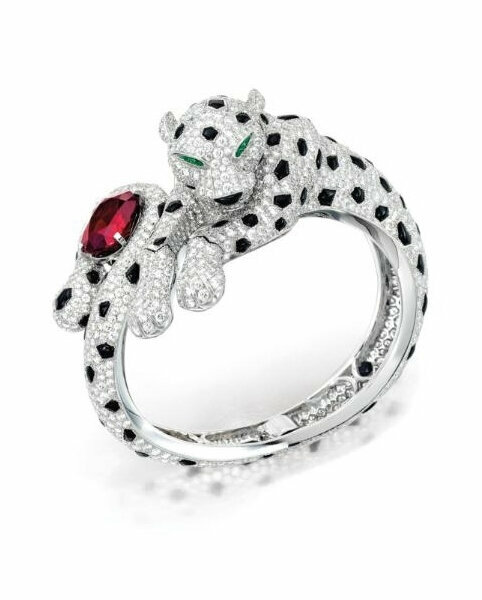 Designed as a pavé-set brilliant-cut diamond panther with articulated paws and rotating head, decorated with cabochon onyx spots, nose and pear-shaped emerald eyes, the tail encircling a cushion-shaped ruby weighing 10.01 carats, mounted in platinum, inner circumference approximately 150mm, signed Cartier, numbered, French assay and maker's marks, Swiss assay marks. Accompanied by Gübelin report no. 19021001, dated 11 February 2019, stating that the ruby is of Mozambican origin, with no indications of heating. Also accompanied by a gemmological report. Mozambique is located in South Eastern Africa and has always been an important source of coloured stones but only in recent years have rubies been discovered. Mozambique rubies are mined in the Msaqizi area of the Niassa Province and Montepuez in the Cabo Delgado Province of Mozambique, bordering the famous gem-rich Mozambique Belt running North – South through East Africa. Recognized for the brilliant red hue and high transparency of rubies produced, Mozambique rubies have rapidly become one of the most coveted ruby red colours, and as a result, are one of the more valuable rubies sourced from African mines. In order to satisfy growing demand, within the last ten years, eighty percent of the global ruby output would originate from Mozambique. The rich iron content in a Mozambique ruby shifts the colour away from purple towards a straight red, producing colours competitive to the prized pigeon blood red rubies of Burma. Though generally the presence of iron mutes the fiery fluorescence in a gemstone, the content is not as abundant as the iron found in Thai or Cambodian rubies; placing Mozambique rubies within the perfect equilibrium to produce the most desirable red hue. The panther, symbolic of Cartier, was first inspired when Louis Cartier commissioned a painting, Woman With A Panther, by George Barbier in 1914. Booming alongside the panther craze of the 20th century, Cartier incorporated the panther’s distinct print into a bracelet wristwatch, which would become the first ever piece of the legendary ‘Panthère’ collection. Cartier ‘Panthère’ blossomed as a result of the love story and partnership between Louis Cartier and Jean Toussaint. In 1917, Cartier gifted Toussaint an onyx vanity case that featured the maison’s first full-body panther, paying homage to Toussaint’s nickname “La Panthère” esteemed for her elegance. 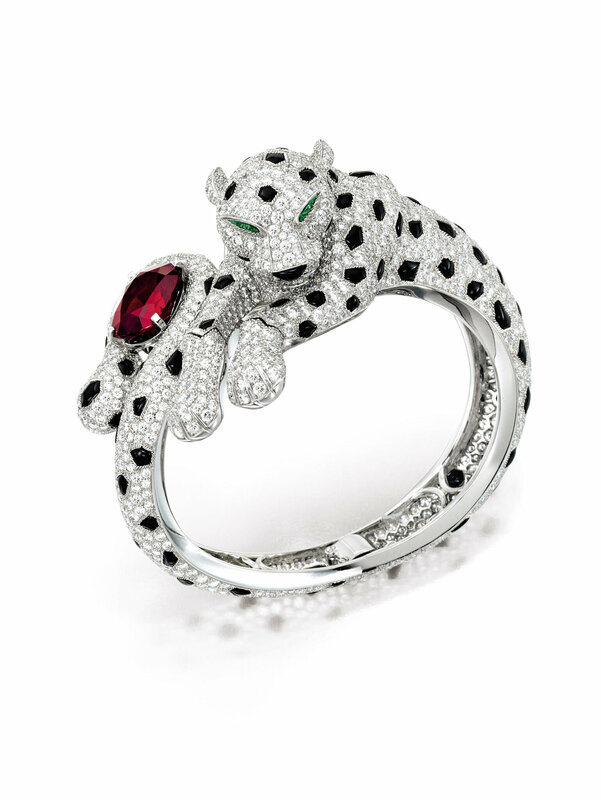 Toussaint eventually became the artistic director of Cartier high Jewellery in 1933 incorporating the panther motif and adding a dynamic sense to their creations. 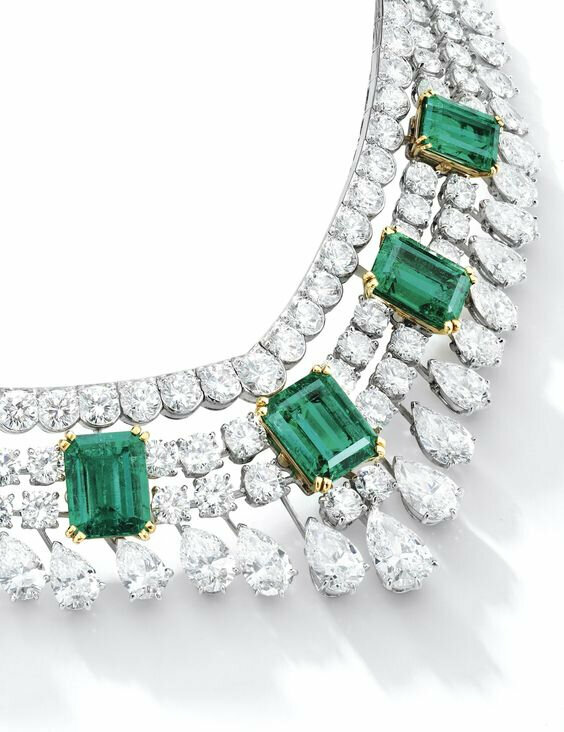 Notable collectors such as the Duchess of Windsor, Daisy Fellowes, Princess Nina Aga Khan and Barbara Hutton have each commissioned Cartier for their own exclusive ‘Panthère’ jewels. Lot 1717 is no different; the unique panther bangle was commissioned to enhance the beauty of the Mozambique ruby which centers the creation. Mozambique rubies differ from Burmese rubies in their strength of colour. The majority of Mogok stones tend to improve in colour along with size, whereas Mozambique rubies are known to excel in the smaller sizes, with stones over ten carats tending to be darker. Lot 1717 showcases a Mozambique ruby over 10 carats that maintains an attractive, saturated red colour. Combined with the iconic ‘Panthère’ bangle mounting by Cartier, it is as striking and collectible as a jewel can be. Lot 1764. A jadeite peapod and diamond pendant. Estimate HK$ 3,300,000-4,200,000 / US$421,000-540,000. Lot Sold 3,750,000 HKD (478,350USD). Courtesy Sotheby's. 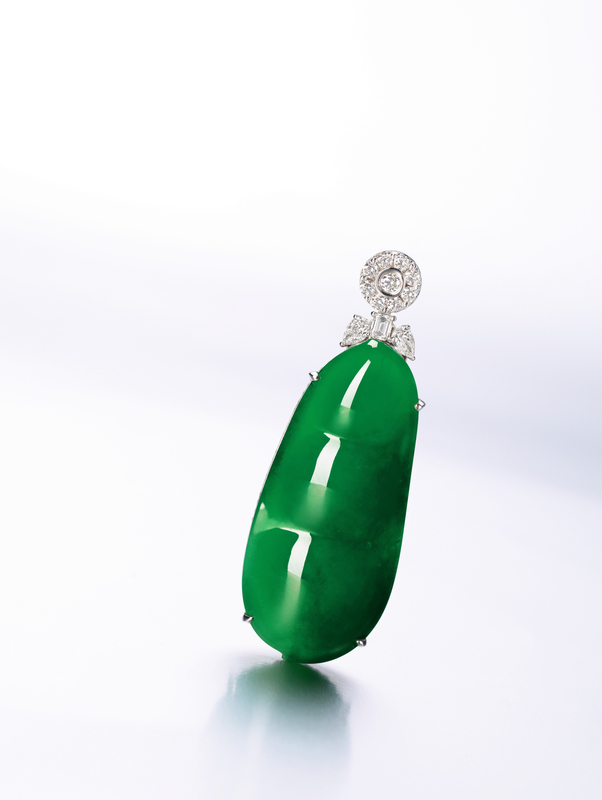 Set with a jadeite peapod of bright green colour and very good translucency, to the edge and back embellished with brilliant-cut diamonds, surmounted by pear-shaped, step- and brilliant-cut diamonds. Peapod approximately 57.08 x 25.76 x 9.50mm. Accompanied by Hong Kong Jade and Stone Laboratory certificate no. KJ 99682, dated 31 January 2019, stating that the jadeite is natural, known in the trade as "A Jade". Also accompanied by a gemmological certificate. Lot 1765. A very fine jadeite and diamond ring. Estimate HK$3,800,000-4,800,000 / US$485,000-615,000. Lot Sold 4,735,000 HKD (603,997 USD). Courtesy Sotheby's. 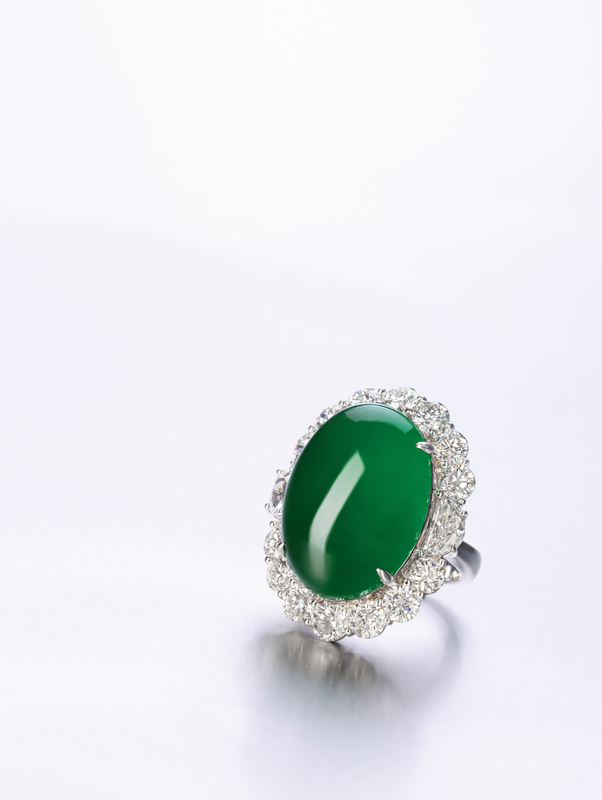 Set with a jadeite cabochon of very good translucency and brilliant emerald green colour, decorated with brilliant-cut and half-moon-shaped diamonds, mounted in 18 karat white gold, size 5½. Cabochon approximately 24.04 x 17.28 x 7.08mm. Accompanied by Hong Kong Jade & Stone Laboratory certificate no. KJ 99791, dated 26 February 2019, stating that the jadeite is natural, known in the trade as "A Jade"
Lot 1766. 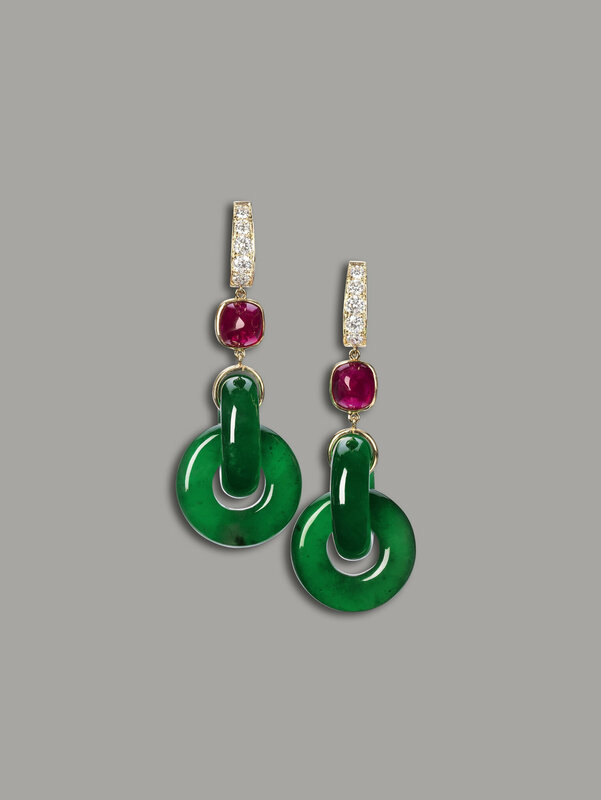 An important pair of jadeite double hoop, ruby and diamond pendent earrings. Estimate HK$4,500,000-6,500,000 / US$575,000-830,000. Unsold. Courtesy Sotheby's. 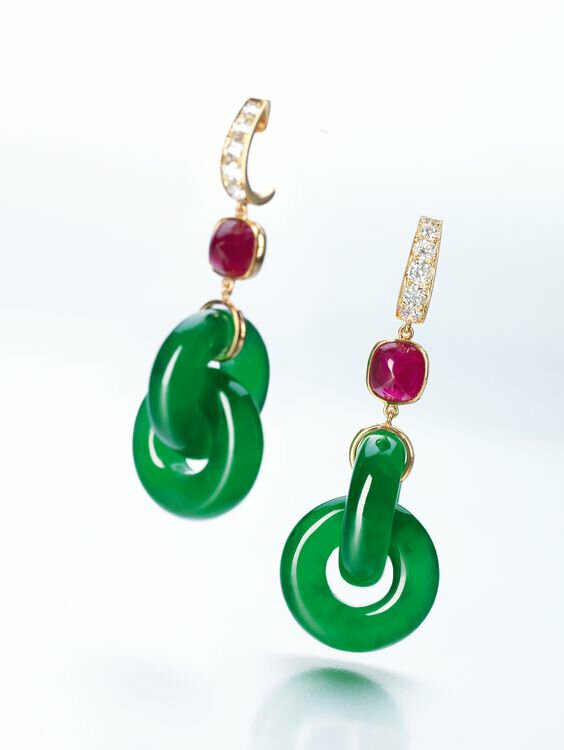 Each suspending a highly translucent jadeite double hoop of intense green colour, surmounted by a sugarloaf ruby, to the top set with brilliant-cut diamonds, mounted in 18 karat yellow gold, hook fittings. Double Hoops approximately 21.25 x 8.68 x 6.50mm and 21.26 x 8.50 x 6.51mm. Accompanied by Hong Kong Jade & Stone Laboratory certificate no. KJ 99728, dated 15 February 2019, stating that the jadeite tested is natural, known in the trade as "A Jade".